Here comes the post about pork, well not exactly a post with all porks because I did not order any pork chop. 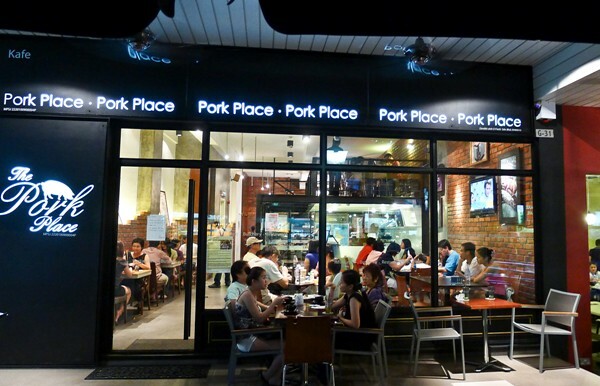 I will return to Pork Place for their chops though. There is this Chinese saying : "男人靠得住，猪乸会上树" . It simply means men will be trustworthy when pigs fly. So I guess men are reliable judging from the picture below? It is one of the funny pictures hang in the shop. This is during night time, I assume. Personally, I love the spaghetti but not the meatballs. I don't fancy the taste and in fact, it tasted weird and I barely swallow it. Don't get me wrong, not that it is bad, but I couldn't stand the meatballs. 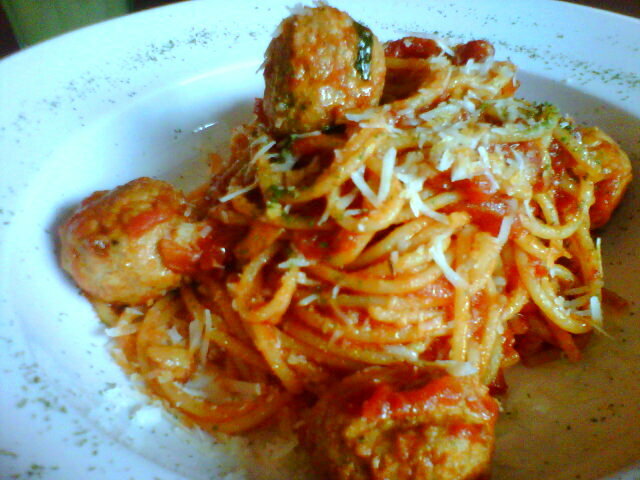 Mind you, different people has different taste bud, my boyfie love the meatballs. 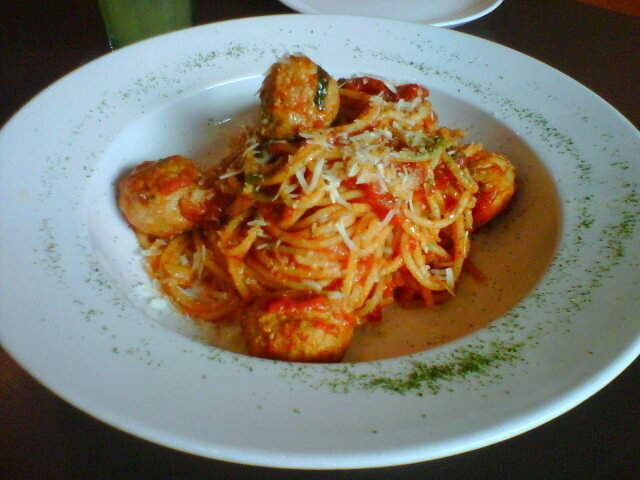 It is quite a big portion, but smaller portion compared to TGIF's spaghetti. I don't recommend you to order the Mocha Raisin because it is not worth to pay for RM 10.90. 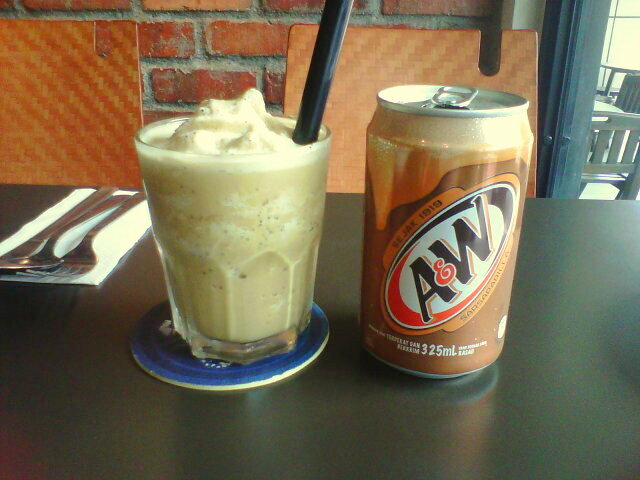 Look at the sizes of the Mocha Raisin and A&W soft drink, I rather spend extra RM 2 to get a Starbucks. Besides, it is nothing special but just a mocha drink. I couldn't taste or eat any raisin in it. 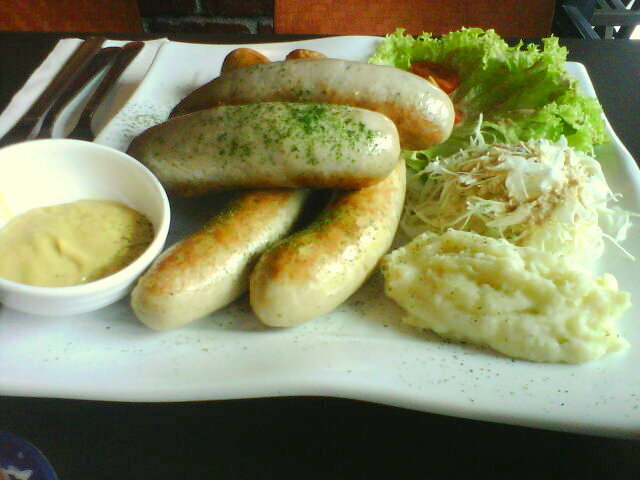 Sausage platter with mashed potato @ RM 38.00. I compared my finger with the sausge and I couldn't stop praising it. 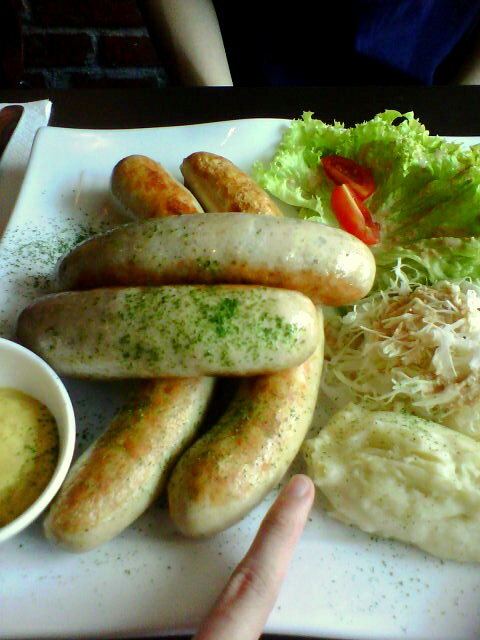 The sausages were so huge and the two of us barely could finish them. There are 4 pieces comes together with mashed potato. Oh yes, you are right, 4 pieces only with two longer sausages. This is not the best sausage I ever had but the biggest sausage in my life (so far). The sausages only taste better with the mustard and I wouldn't order it again, I guess. 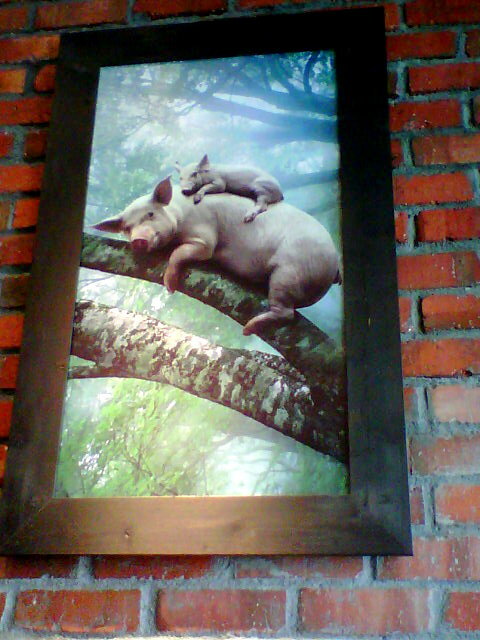 I like the cozy environment in The Pork Place. It can be a perfect couple dining area because you could lovey dovey at all times and no one would bother you, except the waiters will probably interrupt you a little by serving your food. 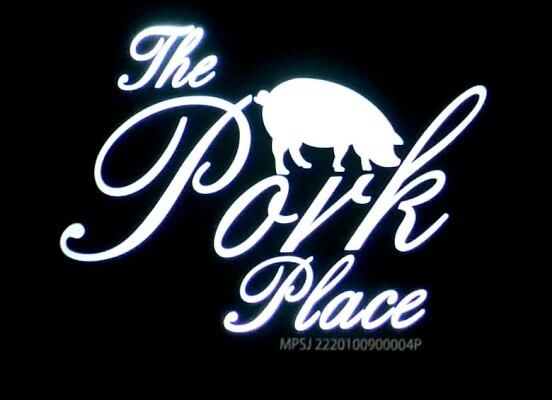 Someday, I will return for the pork chopssssssssssssssssssss. The size of the A&W drink glass is indeed a little too small lo -_- wahh I think I will just order the sausages and share it instead, look pretty filling to me. 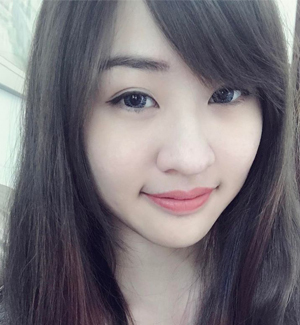 Wah 猪乸 really 会上树 wor so does that mean men is trustable? LOL!